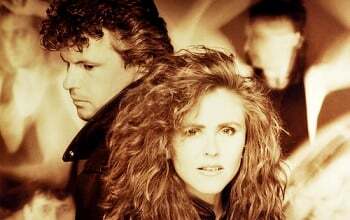 Named after a Vulcan character from the Star Trek TV series, the pop-anthem band T’Pau formed in 1986 around vocalist Carol Decker (b. September 10, 1957), guitarist Ronnie Rogers (b. March 13, 1959), keyboard player Michael Chetwood (b. August 26, 1954), bassist Paul Jackson (b. August 8, 1961), and drummer Tim Burgess (b. October 6, 1961). Quickly signed to Virgin’s Siren subsidiary, the group released their debut single, ”Heart and Soul,” in early 1987 with little fanfare. After the song was used in a Pépe jeans commercial, however, it became a Top Five hit on both sides of the Atlantic. The resulting album, Bridge of Spies (self-titled T’Pau for its American release), shot straight to number one in England. Four subsequent singles from the album entered at least the Top 20, though none broke in the U.S. charts. After touring with Bryan Adams and Nik Kershaw, the band added another guitarist, Dean Howard, and recorded their second album, Rage. The LP, released in 1988, stalled at number four on the British chart, and its follow-up, The Promise, barely made the Top Ten in 1991.